In less than a week, Samsung will be unveiling its upcoming Galaxy Note7 phablet. Unlike its predecessor, the Galaxy Note 5, the new phablet is set to bring the much-needed upgrades to the Note-series. One of the highly anticipated features on the Galaxy Note7 is the iris scanner for biometric authentication. The feature has already been confirmed in leaked photos of the front panel, setup screenshots and the latest leaked video shows off the iris scanner in action. Iris scanner: In the previous leak, we came across screenshots that offered a look at the initial setup procedure. Now, in the latest video, iris scanner was used as a method to unlock the phablet. It is a small four second clip, and as you can see in the video (embedded below), the scanner is pretty quick in unlocking the phablet in seconds. Additionally, a few screenshots have also surfaced, offering more details about the iris scanner. The text is in Chinese, but as per the translated text, Samsung says that the scanner works best when used from a distance anywhere between 25-35cm. The company also advises users to keep the iris scanner away from babies, and those who wear contact lenses and glasses. Interestingly, the phone in the demo video appears to the flat variant of the Galaxy Note7, which was reportedly cancelled in the prototype phase itself. Always-on display: With the Galaxy S7, Samsung introduced a new feature called ‘always-on’ display. When the feature is activated, the certain part of the display lights up, with the rest turned off. The always-on display shows the time, date, day of the week, battery percentage and weather information. 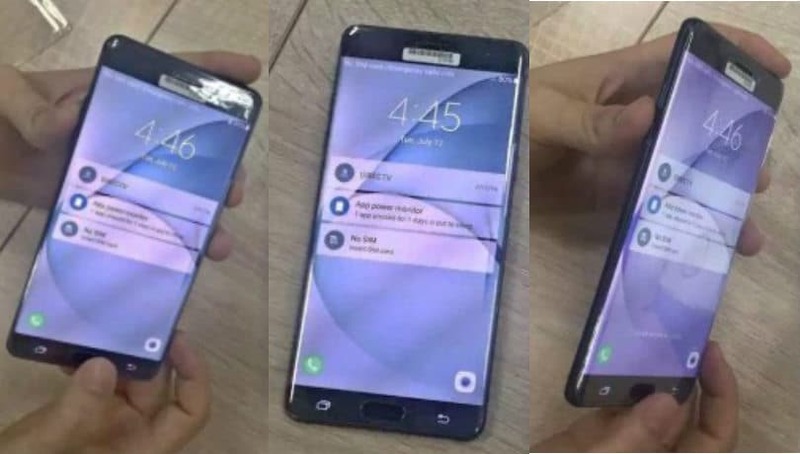 Now, according to the photo posted by reliable leaker @OnLeaks, we’re likely to see the same feature on the Galaxy Note7 as well. While the Galaxy S7 had limited things that one could put on the always-on display, the leaked photo reveals support for other notifications, Wi-Fi connection status, mobile network, and much more. Waterproofing: Similar to the Galaxy S7 and Galaxy S7 edge, the Galaxy Note7 is also expected to sport IP68 certification for water and dust resistance. The certification means that the phablet can be submerged in up to 1.5meter water for up to 30 minutes. Improved S Pen functions: The S Pen stylus is also rumored to come with a slightly improved design. The Galaxy Note 5 had an issue, where inserting the S Pen incorrectly could jam the stylus inside. To ensure that doesn’t happen, Samsung could also redesign the slot on the Galaxy Note7. Speaking to Korea Herald, Samsung Mobile’s President, Koh Dong-jin confirmed that the new Note phablet will come with improved S Pen functions. ”We have improved ‘note’ functions this time, upgrading software for user convenience. We should compete with our own competitiveness. The most important thing is finding our own way that is well accepted by customers,” he said. Operating System: Earlier rumors pointed that the Galaxy Note7 could be launched sometime in July and run Android Nougat out-of-the-box. However, considering that Android Nougat is still in developer beta phase, the Galaxy Note7 may run Android Marshmallow, and will later be updated to Android N. One of the Galaxy Note7 variants was recently spotted running unreleased Android 6.1 version. Now, it could be an incremental version with bug fixes or thin chances are such where Google may name Android Nougat version as 6.1. Like always, the Galaxy Note7 will run on a layer of TouchWiz UI above Android OS. Recently, a revamped version of TouchWiz UI video surfaced online, offering a glimpse at it. From what we can see, the interface looks simpler, cleaner and visually appealing. The quick toggle buttons have become flatter, settings menu has new icons and single tab to access and change settings. You could also add blur effects to widgets to increase or decrease the opacity based on your needs. Display: Now, here is where things start to conflict. A few weeks ago, rumor mill pointed to two variants – one with flat screen and the other with dual edge curved screen. However, Evan Blass later claimed that the Galaxy Note7 will come in just one variant with a dual-edge display. In the latest leak, photos of flat variant have emerged. However, it is believed that Samsung cancelled the phablet in prototype phase itself. There is also an eleven minute review video of the flat version of the Galaxy Note 7. Besides the flat screen on the front, its back is also flat. The photos also show the USB Type-C port at the bottom, which is also rumored to come with the curved variant of the Galaxy Note7, and an extra sensor up front, for the iris scanner. With the current position that Samsung is in, it can afford to take risks. Basking on the success of Galaxy S7 and Galaxy S7 edge, the Galaxy Note7 could turn out to be the beginning of Samsung showing off its display capabilities. Based on the recently leaked photos that we’ve come across, Samsung will continue with the metal frame and glass display. 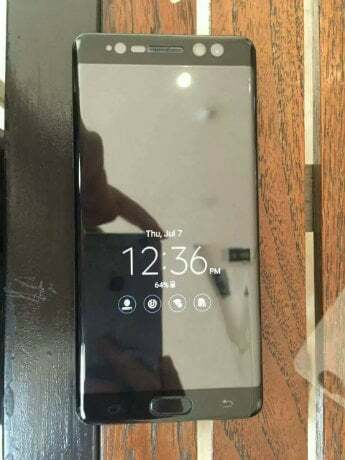 As rumored, the leaked photos also show off dual-edge curved display on the front. From what we’ve come across, it could feature a Super AMOLED QHD display between 5.7-inches and 6-inches in size. Processor and RAM: Like all Samsung flagship devices, even the Galaxy Note7 is likely to come in two variants — one with a Qualcomm processor and another with Samsung’s own Exynos processor. The Galaxy Note7 would likely be launched with the recently announced Snapdragon 821. which is a slightly overclocked version of the Snapdragon 820 that powers the Galaxy S7. The other variant could feature the Exynos 8933 chipset, which is a slightly upgraded version of the Exynos 8990 on the Galaxy S7. On the RAM front, there have been conflicting reports with both 4GB and 6GB of RAM. However, most recent benchmark listings show the Galaxy Note7 to be rocking 4GB of RAM. Storage: All the Galaxy Note7 phablets spotted in benchmarks so far had 64GB of onboard storage. 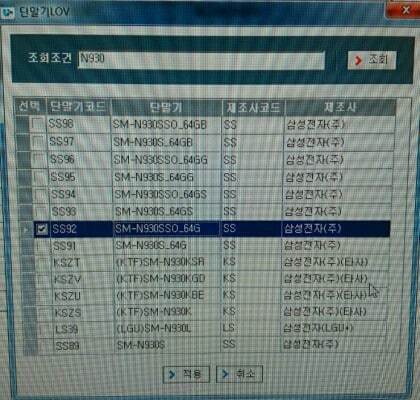 Now, as per the leaked screenshot of inventory spotted by SamMobile, all the Galaxy Note7 variants only show 64GB variants, which could mean that Samsung may up the base storage as well. Yet, we can’t completely rule out the possibility of a 32GB variant. Considering the Galaxy S7 brought back the microSD card slot, it could be a case where Samsung could launch just one Note7 model with 64GB storage and a microSD card slot. However, we are hoping for a more affordable 32GB model. Cameras: The cameras on the Samsung Galaxy S7 and Galaxy S7 edge have been praised a lot. In our review and camera shootout between the high-end flagship smartphones, we’ve seen the Galaxy S7’s 12-megapixel camera with dual-pixel technology outperform the competition. And Samsung may use the same camera module on the Galaxy Note7 as well. There are also other rumors doing rounds that the Galaxy Note7 could employ dual-camera setup at the back, but we will have to wait and see if Samsung goes ahead with it, or keeps it for the Galaxy S8. Connectivity: The Galaxy Note7 could be Samsung’s first device to come with the new USB Type-C port for data transfer and charging. Being a reversible connector, you don’t need to worry about which side is upside down, while plugging in. Another advantage of USB Type-C is that it brings faster data transfer speeds. Battery: Rumors point to a 3,600mAh or 4,000mAh battery on the Galaxy Note7. It is also expected to come with fast charging and wireless fast charging feature, just like the Galaxy S7 and Galaxy S7 edge. LED View Cover: With the Galaxy Note 5, Samsung introduced a S View flip cover with a small window cutout in the front to quickly access key features to – click photos, record videos, accept or reject calls, and more without opening the case. Now, with the Galaxy Note7, looks like Samsung wants to go a notch higher. 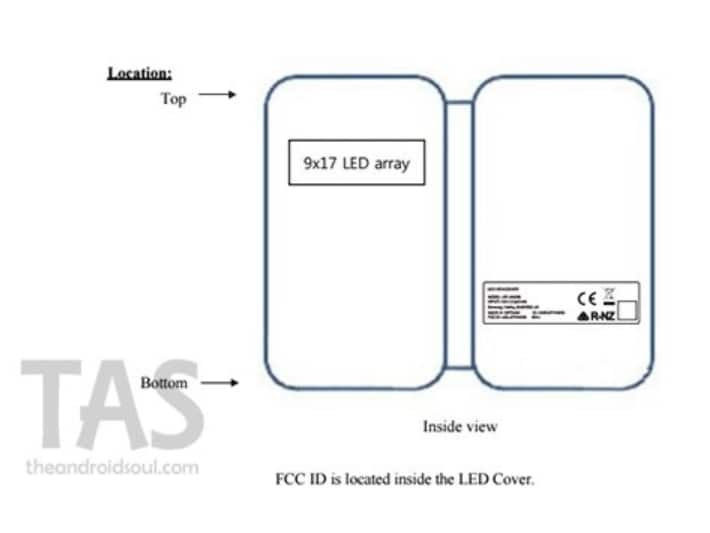 According to FCC documents that have surfaced, Samsung seems to be working on an LED View Cover. The leaked photo also offers a glimpse at how the cover would look like. As the name suggests, the case is likely to sport an array of LEDs (9 x 17) on the front of the case. It would most likely allow users to see certain information such as text messages, incoming and missed calls, time, weather and more, without having to open the protective cover. The cover could set you back by $79.99 (approximately ₹ 5,400) to $89.99 (approximately ₹ 6,100), android soul reports. 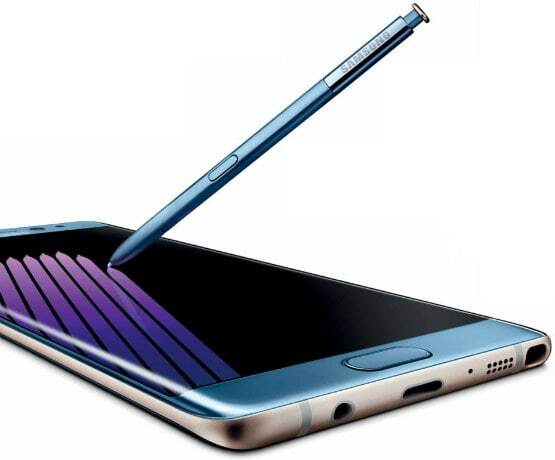 Last year, Samsung launched the Galaxy Note 5, and now the company is all set to unveil the Galaxy Note7. Surprised where the Note 6 go? Well, the Galaxy Note-series has always been a generation behind in nomenclature, as the Galaxy S-series was launched first. So for instance, last year Samsung launched the Galaxy Note 5 but it was also selling the Galaxy S6, which could have confused consumers into believing the Galaxy Note 5 was a year-old device and not the latest one. To bridge the gap and unify the product portfolio, Samsung will be skipping the Galaxy Note 6, and will launch the Galaxy Note7 instead. We have already seen the real-life photos of the Galaxy Note7 showing off the dual curved edge display but the device was not powered on, which left some room for doubt about its authenticity. 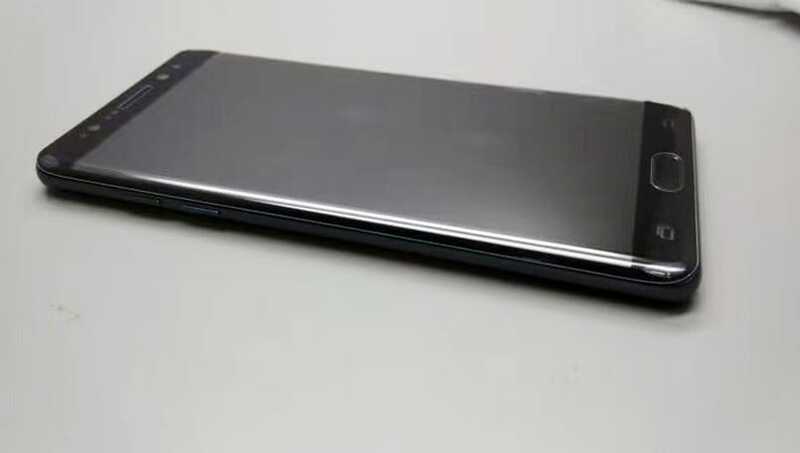 Now, in another set of leak, the phablet has been pictured from other angles too. We can see the front panel with the display, physical home button flanked with the capacitive touch buttons and volume buttons on the left edge. Another photo shows the top of the device with visible antenna lines, but similar to the Galaxy S7 and Galaxy S7 edge, the IR blaster is missing from the Galaxy Note7 as well. With the phablet closer to launch, Samsung has received FCC certification for six of Galaxy Note7 models that are bound to be available with different carriers in North America. These models include SM-N930P (Sprint), SM-N930W8 (Canada), SM-N930V (Verizon), SM-N930T (T-Mobile), SM-N930A (AT&T) and SM-N930R4 (U.S. Cellular). While it doesn’t reveal any features and specifications, the certification does mean that Samsung ready with the final version of the Galaxy Note7 for launch. Samsung is hosting the launch event on August 2 in New York. While Samsung hasn’t officially mentioned about the release date, a report suggests that the Galaxy Note7 will go on sale the same day as launch, i.e. August 2. The report further states that Samsung would be looking forward to market its latest phablet and take the advantage of 2016 Rio Olympics, where Samsung is one of the key sponsors. 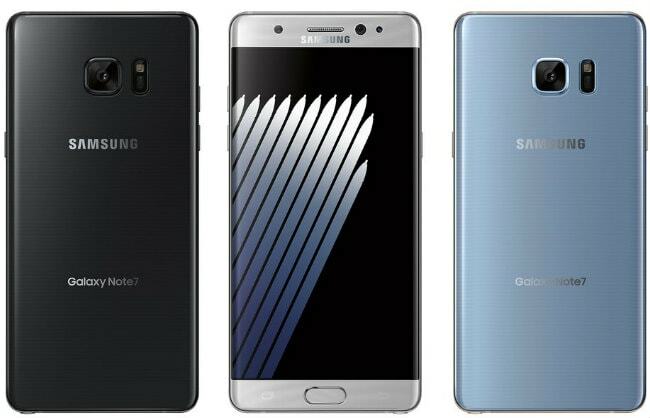 The Galaxy Note7 is expected to be priced around €849, which is approximately $940.79/₹63,000. This is quite higher compared to the Galaxy Note 5, which was launched for $803.933/₹53,900.